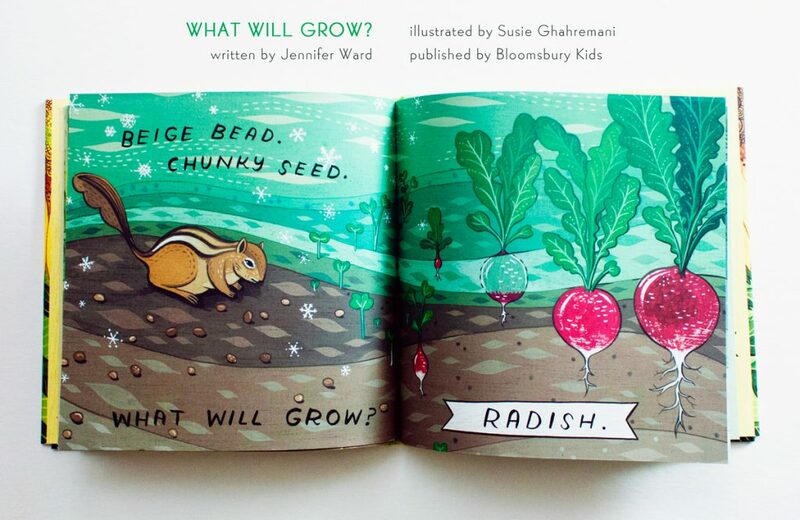 “What Will Grow?” written by Jennifer Ward, illustrated by Susie Ghahremani. Published by Bloomsbury, 2017. 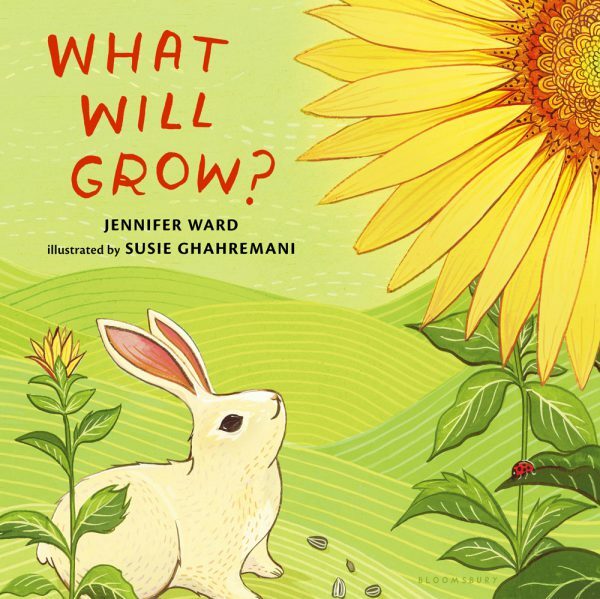 ABOUT THE AUTHOR: Jennifer Ward is the author of I Love Dirt!, Let’s Go Outside!, and numerous children’s books, all of which present nature to kids. Learn more about her at jenniferwardbooks.com. Seeds can be big or small, round or pointy, and all sorts of colors. 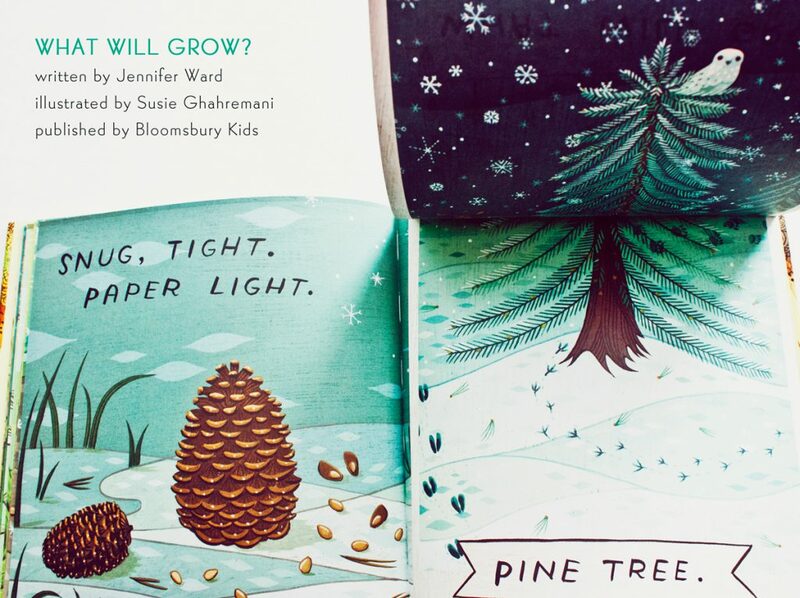 They can become flowers, trees, fruits, or vegetables, and they sprout all times of year, during spring, summer, fall, and winter. 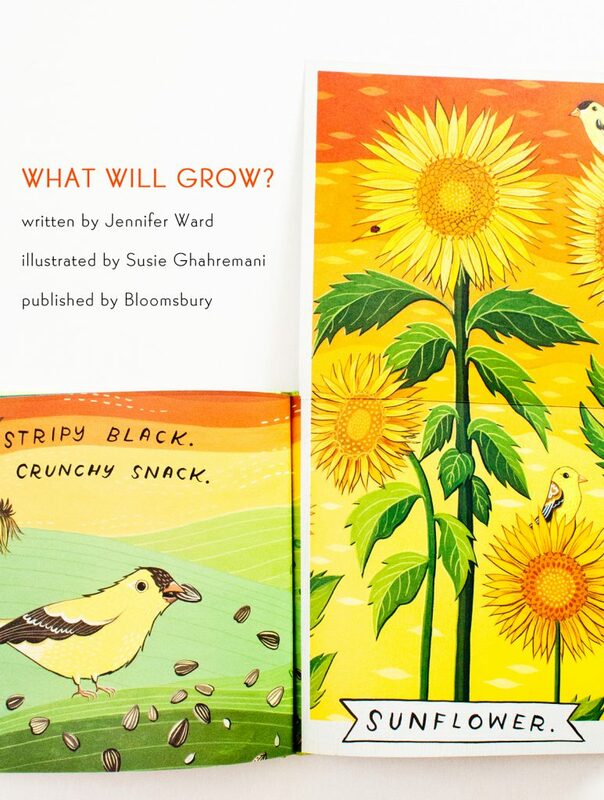 But all seeds have one thing in common--inside each is a new plant life waiting to emerge. What kind of plant will bloom? 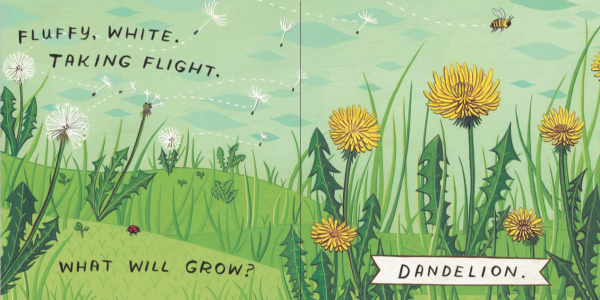 Wait and see what will grow! 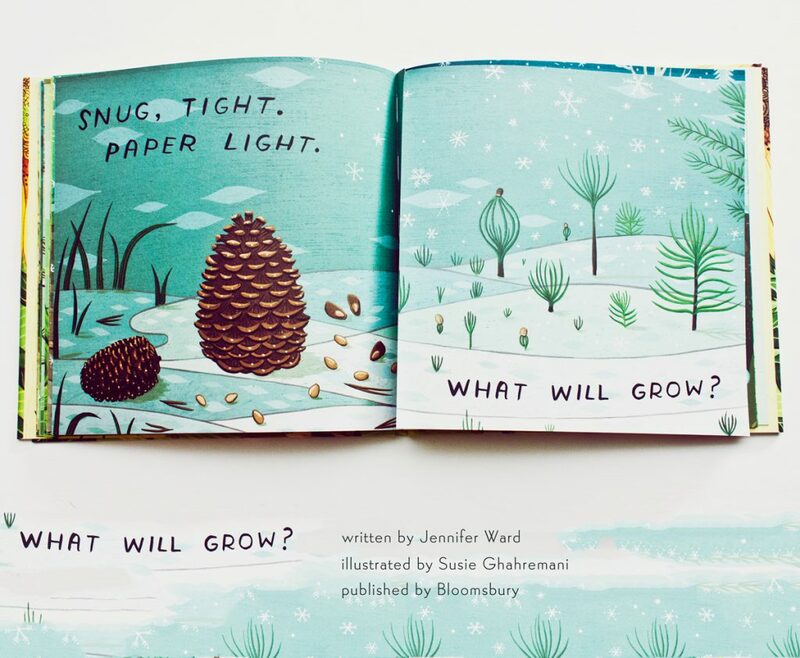 Including four gorgeous pull-out gatefolds, this lyrical and stunningly illustrated book includes fun facts about starting a garden.